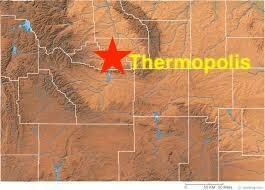 Thermopolis, Wyoming population was 3,009 as of 2010 census. “Thermopolis” is from the Greek for “hot city.” It is home to numerous natural hot springs, in which mineral-laden waters are heated by geothermal process. Thermopolis claims the world’s largest mineral hot spring, appropriately named “The Big Spring”, as part of Wyoming’s Hot Springs State Park. The springs are open to the public for free as part of an 1896 treaty signed with the Shoshone and Arapaho Indian tribes. Dinosaur fossils were found on the Warm Springs Ranch in 1993, and the Wyoming Dinosaur Center was founded soon after. Thermopolis is located near the northern end of the Wind River Canyon and Wedding of the Waters, where the north-flowing Wind River becomes the Bighorn River. Thermopolis is ringed by mountains, with the Big Horn Mountains to the northeast, the Bridger Mountains to the southeast, the Owl Creek Mountains to the southwest and the Absaroka Range to the northwest. Thermopolis is the southern-most municipality in the Big Horn Basin. Roundtop Mountain, on the northern edge of town, is a unique geological formation shaped much like a volcano. It sits at approximately 6,000 feet and is the highest area in the immediate vicinity of Thermopolis. A large body of water, Boysen Reservoir, lies approximately 17 miles south of Thermopolis and is inhabited by many native species of fish including rainbow trout, cutthroat trout, brown trout, walleye, northern pike and perch among others. According to the United States Census Bureau, the town has a total area of 2.47 square miles, of which, 2.38 square miles of it is land and 0.09 square miles is water. Dr. Bomengen graduated from Baylor College School of Medicine and completed his residency at the Family Medicine Residency in Casper, WY. 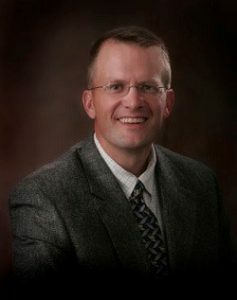 He is board certified by the American Board of Family Medicine and is currently serving as the Chief Medical Officer, Big Horn Clinic Director, Emergency Room Director at Hot Springs County Memorial Hospital, and serves on the Critical Care Committee. He also serves on the Wyoming Board of Nursing Home Administrators. When not working he enjoys spending time with his family, hunting and exercising. 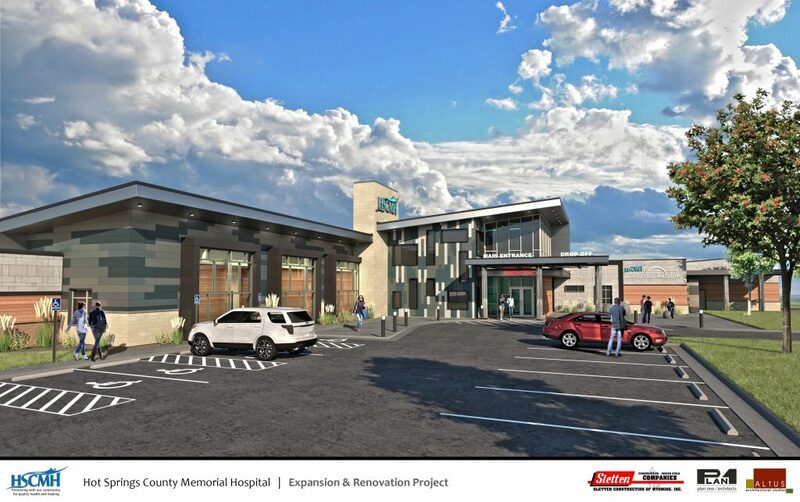 Hospital: Hot Springs County Memorial Hospital (HSCMH) is a state-licensed, Medicare certified, 25-bed Critical Access Hospital located in Hot Springs State Park, 150 E. Arapahoe Street, Thermopolis, WY 82443. HSCMH serves the residents of Hot Springs County and the surrounding areas. Clinics: HSCMH owns and operates Red Rock Family Practice in Thermopolis, WY, Big Horn Clinic in Basin, WY and manages Red Rock Family Practice in Worland, WY. Our providers work in all three locations, providing a wide variety of family practice opportunities serving the southern Big Horn Basin. Red Rock Family Practice Thermopolis is located across the street from HSCMH. HSCMH is in the early phases of a major building project including a 30,000 sq. ft. addition that will house two new state-of-the-art surgical suites, a new inpatient wing, two LDRPs and Emergency Department. We will also be renovating all out-patient departments. We expect to break ground in the fall of 2018 with project completion in late 2020. HSCMH offers great technology including a new MRI, 64 slice CT, nuclear medicine, ultrasound and a full spectrum laboratory. Long Term Care: Thermopolis Rehabilitation and Care Center is a privately owned nursing and rehabilitation facility in Thermopolis for people with chronic health conditions or injuries that require long-term care, constant monitoring and 24-hour-a-day availability of doctors, nurses and health care aides. The Wyoming Pioneer Home is an eighty bed Assisted Living facility located adjacent to the hospital. Housing: Medical student housing will be provided. From Billings: Take I-90W, US 310 E, MT-72 S, WY-294 S and WY 120 E to Broadway Street in Thermopolis, WY. It is about a 3.5-hour drive. From Cheyenne: Take I-25 North to Casper, WY; Take exit 189 from I-25N, follow US20 W to E Arapahoe Street in Thermopolis, WY – about a 4.5-hour drive. From Casper: Head west on US-20/US-26 W/W 1st Street toward N. Market Street for about 98 miles; turn onto US-20W/Idaho Street – follow US-20W for another 33 miles – about a 2 hour drive. Airports: Local airport located about 10 miles northwest of Thermopolis (7,700 ft. runway); Worland Municipal, 33 miles north; Riverton Regional, 52 miles south; Yellowstone Regional (Cody), 82 miles northwest; Casper International, 132 miles east. 4 baseball fields, 2 basketball courts, 2 tennis courts, 4 town parks, 9-hole golf course, 18-hole miniature golf course, 2 racquetball courts, movie theater, rodeo arena, fair grounds, canoeing and whitewater rafting, hiking, swimming, hunting, fishing, and cross-country skiing. Local and nearby scenic and cultural attractions include Hot Springs State Park, Boysen Reservoir, Wind River Canyon, Legend Rock Petroglyphs, Hot Springs County Historical Museum & Cultural Center, and The Wyoming Dinosaur Center. Nearly 2,000,000 acres of wilderness within a short distance of Thermopolis. Yellowstone National Park is 2.5 hours away. Grand Teton National Park is four hours away. The elevation is 4,331 feet above sea level. Low humidity, warm to hot summers, cool to cold winters. Monthly average temperature is 49.4ºF (July average high 93.3, January average high 40.5). Average annual days of sunshine are 235. Growing Season is 110 days. Average annual precipitation is 12.04” with average snowfall at 54”.